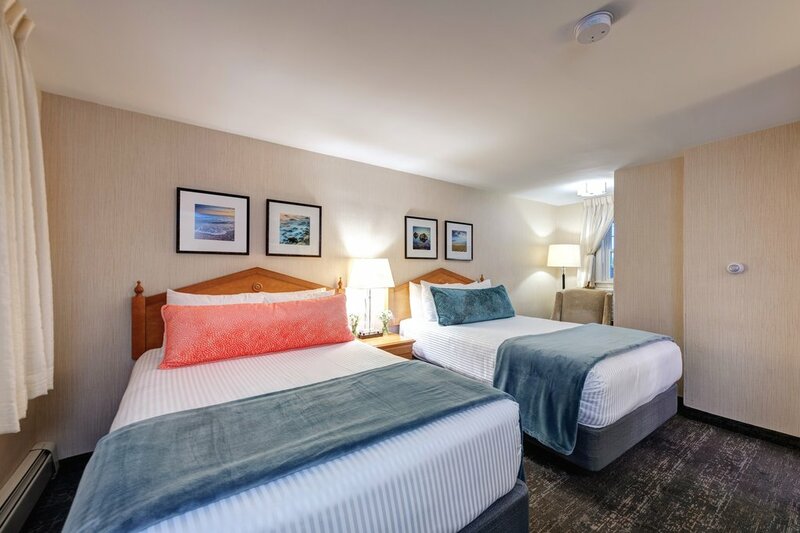 Stretch out and find the space you’re looking for in our hotel rooms in Portsmouth with two double beds. 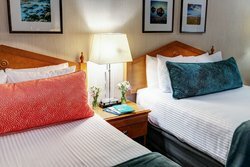 This Portsmouth accommodation is perfect for group travelers and families. Capable of accommodating up to four guests at once, our Two Double Beds room is perfect for those looking for some extra space. The Port Inn is an affordable accommodation option that’s conveniently close to downtown attractions and the beautiful coast. Sleep soundly in our tastefully designed rooms, each offering its own unique sense of quaint charm. 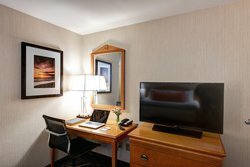 Find all of the in-room amenities you require to feel right at home. Enjoy snacks or beverages in your room easily with your personal refrigerator, and heat up your leftovers using your in-room microwave. You and your guests can gather in the evening around the 32’ flat-screen TV or use the desk and chair to get some work done. Should you need to keep in contact with home or the office, our high-speed Wi-Fi will keep you connected throughout your stay. 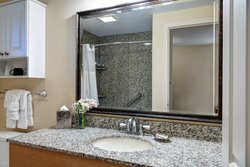 Plus, pamper yourself with the complimentary luxury bath amenities that we provide to ensure you have a comfortable stay.